Early in the 1990′s I introduced this plant to Australia from seed obtained from South West Seed in Arizona. It was one of the first small salvias with purple greggii like flowers that we had in Australia. It wasn’t incredibly easy to propagate. Unfortunately it died when I was away in 2013 and don’t have it anymore. I took this photo in California in 2013 but haven’t managed to get that seed again yet. Somehow another plant got confused and called muelleri which is easier to propagate and the flower is about the same colour. This plant commonly circulates in Victoria at least and is the one I am also selling as ‘like’ muelleri. This is the flowering plant above. I find this plant rather rangy and needing pruning to thicken. 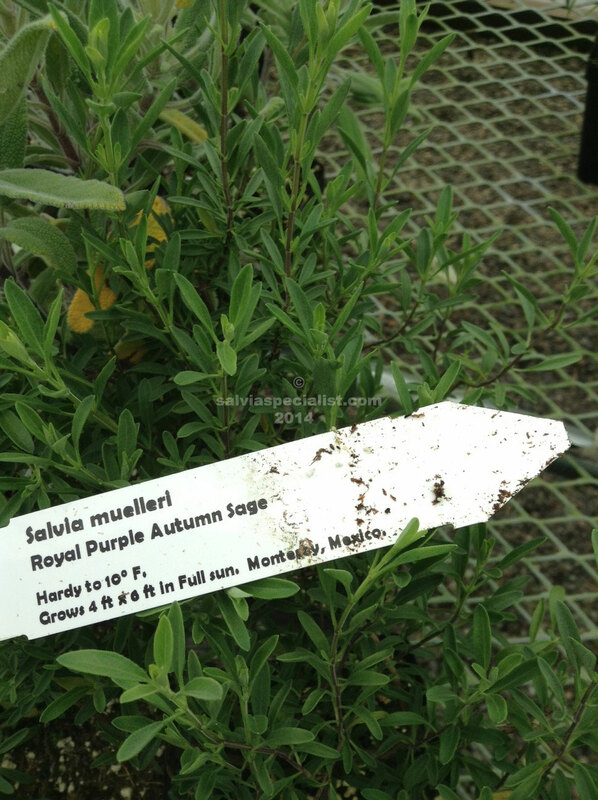 I think Panorama Nurseries in Silvan were involved with its early mixup. They no longer grow perennials. I think sometimes it is sold as purple greggii. 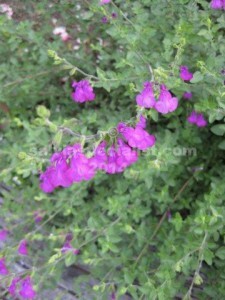 Whatever version of muelleri you are able to obtain it should be a smallish growing evergreen shrubby plant with purple flowers that likes dryish sun.